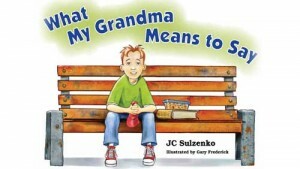 JC Sulzenko’s 48-page storybook adaptation of her one-act play about 11 year-old Jake and his grandma, who is living with Alzheimer’s disease, is now available. Illustrated in full colour by Gary Frederick, the book lets young readers, ages 8-12, and their families, share Jake’s experience as he watches his grandma change from world traveller, expert birder and best cookie baker to someone who forgets where she lives and cannot remember his name. 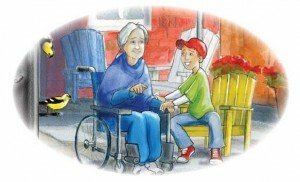 Discussion Guide for "What My Grandma Means to Say"
Now updated and available FREE. The updated Discussion Guide is available for teachers, health care professionals and service providers, and volunteers who work with families in which someone is living with Alzheimer’s disease or a related form of dementia. JC offers the Guide free to not-for-profit organizations and individuals to encourage open discussion with children about Alzheimer’s disease and related dementias. Seven year-old Annabella goes to Grand Manan Island in the Bay of Fundy for a summer holiday. Thrilled to be there, she’s heard about the werewolves of Whale Cove and fears them. Letters for Lilli turns wintertime ‘cabin fever’ with a toddler into a unique hunt for the letters of the alphabet. A perfect gift for students taking music lessons!